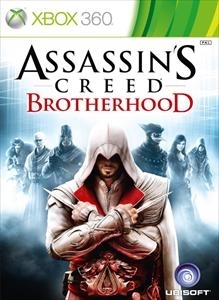 Titled as the Animus Project Update 1.0, you can now download a free map and mode for Assassin's Creed: Brotherhood. This FREE download is the first of two announced so far, which Animus Project Update 2.0 coming sometime next month. New map- Mont Saint-Michel. Set on the island of Normandy, France. Expect plenty of tight steets, high places, and multi-tiered buildings. New mode- Advanced Alliance Mode. A more challenging version of Alliance mode for experienced players. "Abstergo rewards its recruits and enhances its Training Program with the all new free DLC featuring the new map ‘Mont Saint-Michel’ and one new mode ‘Advanced Alliance’. Target identification and engagement are more difficult than in the basic Alliance Mode, players will need to maximize their skills and use caution to survive. "